We’d love your help. Let us know what’s wrong with this preview of The Power and the Pain by Andrew Holecek. 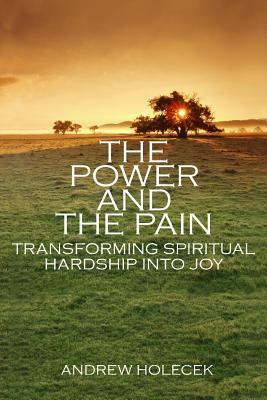 To ask other readers questions about The Power and the Pain, please sign up. I found this book very wonderful to read. So often, books about Buddhism portray the blissfulness of enlightenment or focus on the intellectual facets of the path. It is far more practical & encouraging to read about the difficulties & obstacles that are inevitable in the development of a Buddhist Practioner. The Mahayana path is laid out very clearly & the last chapter, describing how Ignorance occurs was very insightful. A great read. This was a first for me---a book that took me over a month to get through, which I still adored! I'm quite familiar with Buddhist concepts both in my personal practice and as a psychotherapist utilizing much from the philosophy and techniques, yet I felt (positively) like I had to be careful to absorb every word with this book as it was filled with insights and motivation. I know it sounds like a slog, but it was more that it just wasn't fast reading for me. The concept of both accepting hardshi This was a first for me---a book that took me over a month to get through, which I still adored! I'm quite familiar with Buddhist concepts both in my personal practice and as a psychotherapist utilizing much from the philosophy and techniques, yet I felt (positively) like I had to be careful to absorb every word with this book as it was filled with insights and motivation. I know it sounds like a slog, but it was more that it just wasn't fast reading for me. The concept of both accepting hardship and turning it into a "learning experience" is a familiar one, but so difficult, and rewarding! Andrew Holecek has completed the traditional three-year Buddhist meditation retreat and offers seminars internationally on meditation, dream yoga, and death. His work has appeared in Parobla, Shambhala Sun, Tricycle, Utne Reader, and other periodicals. He is the author of The Power and the Pain: Transforming Spiritual Hardship into Joy; Preparing to Die: Practical Advice and Spiritual Wisdom from Andrew Holecek has completed the traditional three-year Buddhist meditation retreat and offers seminars internationally on meditation, dream yoga, and death. His work has appeared in Parobla, Shambhala Sun, Tricycle, Utne Reader, and other periodicals. He is the author of The Power and the Pain: Transforming Spiritual Hardship into Joy; Preparing to Die: Practical Advice and Spiritual Wisdom from the Tibetan Buddhist Perspective; Meditation in the iGeneration; How to Meditate in a World of Speed and Stress, and the audio learning course Dream Yoga: The Tibetan Path of Awakening Through Lucid Dreaming. Andrew holds degrees in classical music, physics, and a doctorate in dental surgery. He lives in Lafayette, Colorado.